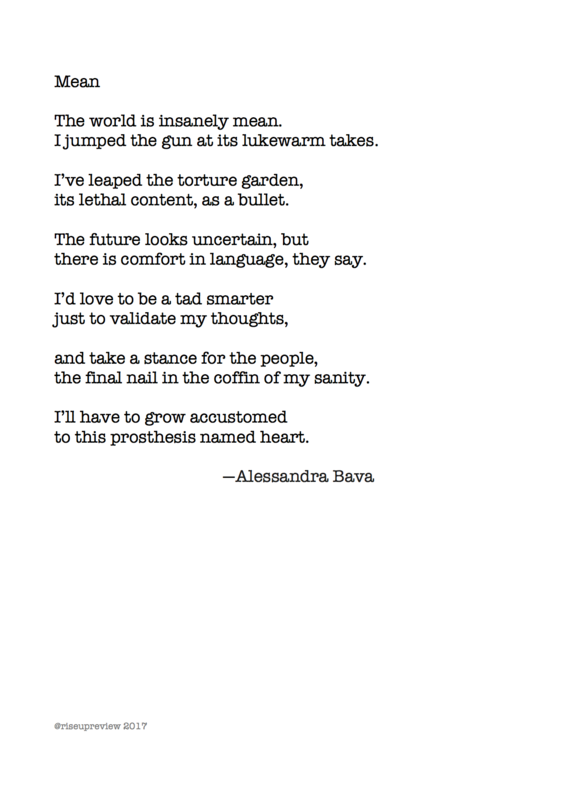 Alessandra Bava is a poet and a translator living in the Eternal City. She is the author of two bilingual chapbooks Guerrilla Blues and Nocturne published in Italy and three chapbooks published in the States, They Talk About Death, Diagnosis, and Love & Other Demons. She is a Co-founder of Rome's Revolutionary Poets Brigades. Her poems have appeared in journals such as Gargoyle, Chiron Review and Left Curve. She is currently writing the biography of a contemporary American poet.